Used external chrome mirror, rear flare and emblems. 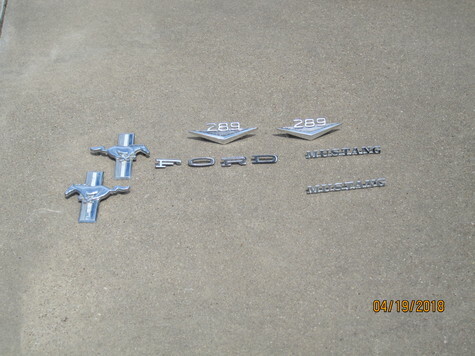 Emblems include the letters for FORD, running horse, MUSTANG, and 289. Selling all as a single unit for $100 OBO. Will not ship, but will meet at an agreed location in Granbury.